Who is that masked Longbottom? Neville Longbottom is a hunk! At the time, I celebrated the transformation of actor Matthew Lewis on many levels. First and foremost, I like pretty things, and Matthew had become one. But as a geek whose own awkward period extends even into today, I was gratified to see how far he had come during the 10-year span…and gave his movie connections no small amount of the credit. But it turns out the studio’s efforts were actually in the opposite direction. 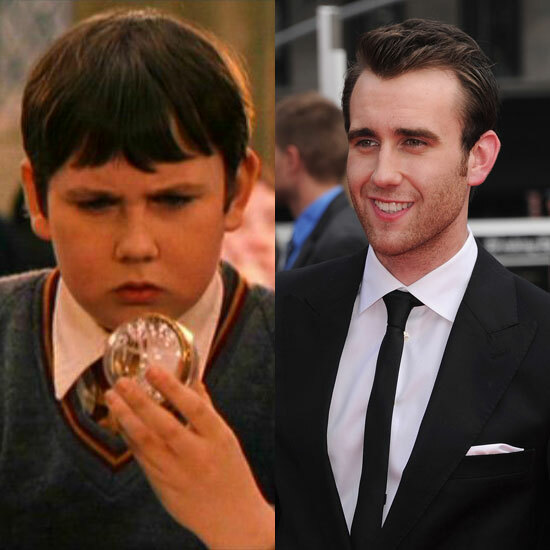 Matthew Lewis was never the chubby, ear-sticking-out, buck-toothed character that we saw on screen. The wardrobe and makeup departments created Neville’s persona and ‘plopped it down’ — fat suit and all — upon Matthew’s more leading man frame. They even used extra-large shoes because that’s how JK Rowling described him in the her novels. That’s why Neville was such a ‘boy toy’ surprise in the final film! This entry was posted in Celebrities, Commentary, Design, Entertainment, Fashion, Humor, Life, Movies and tagged awkward period, buck teeth, celebrities, chubby, design, ears stick out, entertainment, Fashion, geek, Harry Potter and the Deathly Hallows Part II, Harry Potter movies, Humor, JK Rowling, leading man, life, makeup department, Matthew Lewis, movie connections, movie franchise, movie studio, Movies, Neville Longbottom, theatre, wardrobe department. Bookmark the permalink.